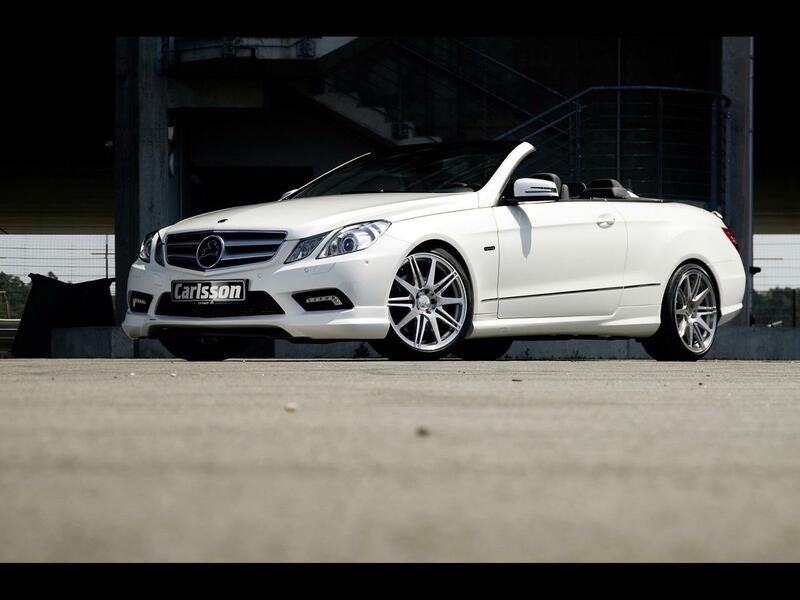 2011 Carlsson Mercedes-Benz E 350 CDI is a luxury car with a touch of majestic to the exterior in an open car model. Carlsson car manufacturers now add a four-seater open for making this car look sporty. 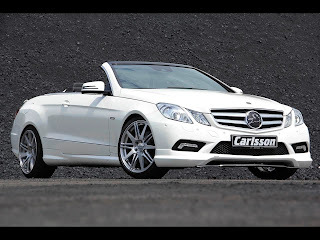 With the addition of 20 per cent more power, package aerodimanis new and refined interior design that makes 2011 Carlsson Mercedes-Benz E 350 CDI is a guarantee for a pleasant journey and not boring. 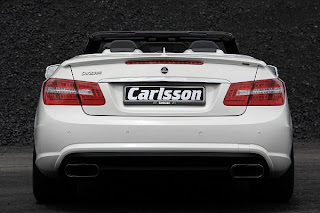 The most important changes from conversion Carlsson C-Tronic is ECU DIESEL POWER ®. Solutions plug-and-play capable of improving performance V6 diesel engine to be increased by 20 per cent, initially is 231 hp, now can reach 280 hp. Management engine is also optimized to have an effect on maximum torque. Instead of 540 Newton meters, the driver now has 648 Newton meters at his disposal. 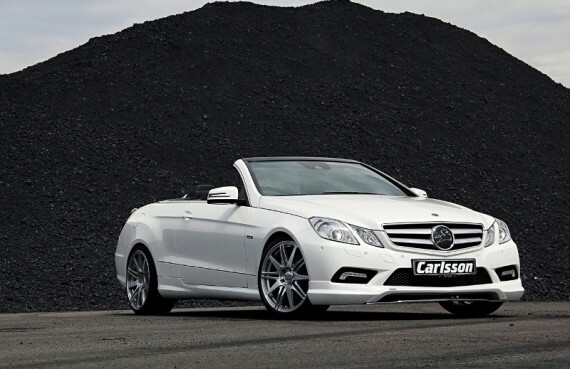 The ECU CD35 Revo for the Mercedes 350 CDI engines is delivered by Carlsson as a completely retrofittable solution inclusive of all materials for connections and montage, at a total price of just 1784 Euros inclusive of VAT. In addition, the car’s suspension has also been increased to 355 Euros which ensures better road surface. 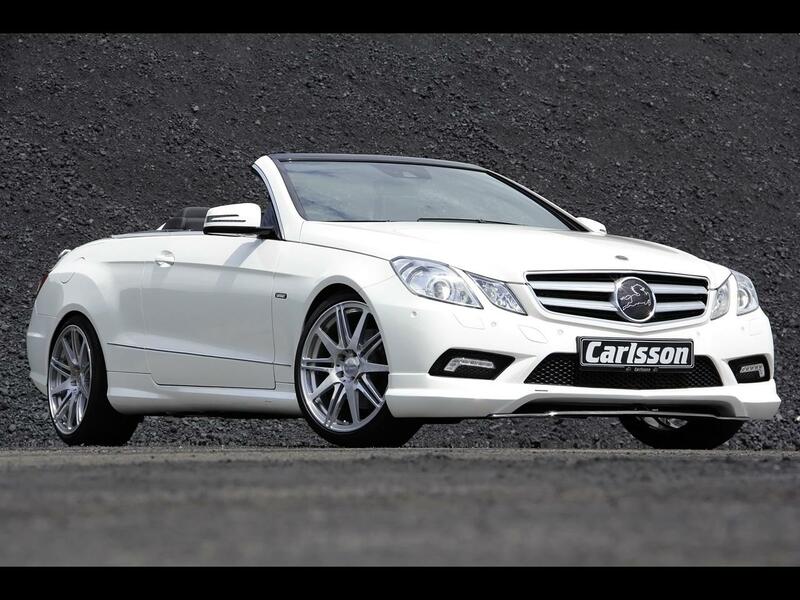 These lower the Mercedes-Cabriolet 30 millimeters and give rise to a significantly more dynamic response while negotiating curves. The right sound is ensured by the sport and mufflers with the two double-Walled-end stainless steel tubes, available for a total of 2319 ??Euro. Carlsson continues with the sportily elegant finishing in the car interiors. Thus, the automatic gear shift lever in leather and Alcantara (213 Euro) sets a fine accent, like the aluminum door pins (58 Euro), the soft velvet with the Carlsson logo doormats (sets available for 154 Euro) and the aluminum pedals together with footrests (282 Euro).